Have you ever had that craving for a good snack? 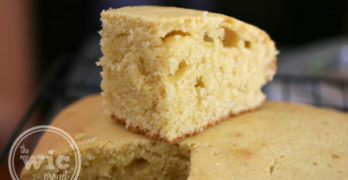 Sometimes you want something salty – not too sweet, not too heavy, and very, very delicious. Or maybe you have an itch for some movie theater popcorn, but you don’t want to go to the movies? At times like these, you probably want a snack that you can enjoy right out of the bag, that doesn’t make a mess and doesn’t require any prep work. If you’ve ever thought those things, meet Jerry’s Nuthouse. Too many times I’ve popped some microwave popcorn, only to be utterly disappointed. “Movie Theater” flavor tastes nothing like movie theater popcorn. Even worse is when that microwave popcorn leaves some sort of artificial aftertaste that just makes you feel “ick.” I was eager to try Jerry’s Gourmet Butter popcorn, wishing, hoping that it would be as good as what I buy in the movie theater. It did not disappoint. 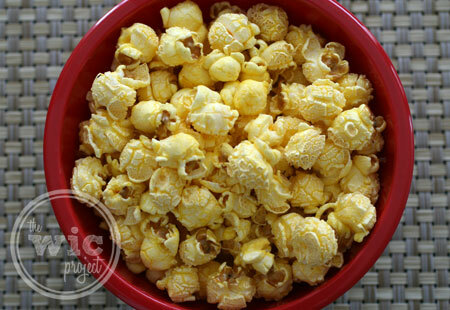 Jerry’s Gourmet Butter Popcorn puts other “buttered” popcorns to shame. Jerry’s Gourmet Butter popcorn was, dare I say, savory, buttery bliss. Right out of the bag, it tasted like a perfectly popped kernel of popcorn that was drenched, but not too much so, in delicious butter. It was just as satisfying as movie theater popcorn but didn’t feel, or taste, like it had that same greasiness or heaviness. Even better was that every piece of popcorn had just the right amount of butter. Available in three different sizes – small (12oz), medium (24 oz), and large (48 oz), this was quite possible the best buttered popcorn I’ve ever had. Butter not your thing? They also have several other varieties, including Cheese, Caramel, and Natural Lightly Salted. Almonds, Cashews, and Peanuts, Oh my! Jerry’s Nut House offers more than just gourmet popcorn. They also have a wide selection of some of your favorite snacking nuts. From peanuts in the shell to pistachios, you can find the perfect nut. I’m partial to cashews and selected their roasted and salted colossal cashews. 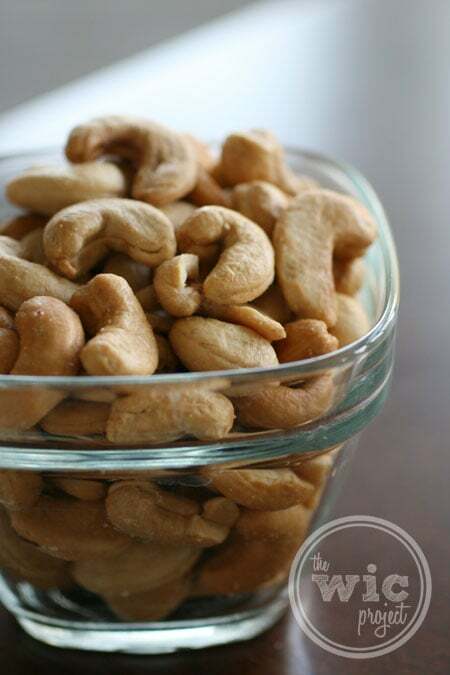 These were definitely larger than other cashews that you might pick up from the grocery store, and had just the right amount of salt and roast. In fact, Jerry’s does all of their roasting in house, so you can be sure your tasty snack arrives at your door freshly roasted. I also sampled their Sea Salt & Pepper almonds. If you like salt and pepper flavored anything, you will LOVE these almonds. They have the perfect blend of saltiness and “kick” from the black pepper. If you’re craving something on the sweeter side, Jerry’s Nut House also has a selection of candies, dried fruit, and chocolate & yogurt snack options. You can pick up some traditional candy choices, like Atomic Fireballs or gummies, as well as fruity favorites like dried apricots, strawberries, and more. 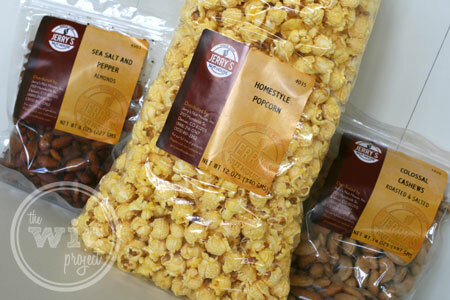 Visit www.jerrysnuthouse.com to stock up on your favorite sweet, salty, and savory snacks. For over 60 years, Jerry’s Nut House has been supplying the Denver/Rocky Mountain area with delicious, high quality nuts and snacks. From Cashews to Cheese Popcorn … from Peanut Clusters to Pistachios … from Yogurt Pretzels to Deluxe Snack Mixes … we take great pride and care in producing each and every snack item we sell. You can rest assured that when you order from Jerry’s Nut House you are receiving the highest quality, best-tasting snacks available. This giveaway is open to US residents only. Visit our Giveaway Rules page for general giveaway rules that also apply to this giveaway. Ohhh Yogurt raisins, choco covered raisins, malt balls, all good!! The pecan and caramel candies look delish and so do your pics of the cashews! Chocolate covered cashews sound yummy! Id love to try a little of everything honestly! those dipped pretzels look good. as does the pecan and caramel candies. Yum and Cranberry slices! I’d love some of their raw cashews. I’ve been using them in my blended soup recipes lately. I would love some salt water taffy! I’d like, double dipped chocolate malt balls, yummy! I would like to try Jerry’s Berries! The Cheese Popcorn looks great! I’d love to try the Banana Split Trail Mix. Yum!! Would love to tried their driec banana chips. I would love to try The Almonds with Milk Chocolate! Jerry’s nuthouse has so many delicious choices! I would love to try the english toffee. Taffy Tropical Mix sounds good. 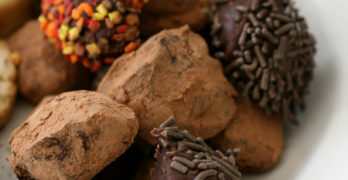 I would love to try the Colorado Choco River Rocks! Thanks. I would like to try the Dried Pear Halves! Yummy Yummy! I also like their Cashew & Dark Chocolate Trail Mix. All the chocolate covered nuts looks great! I would love to try their Cherry Nut Harvest. I can tell that theses are quality products! I love fresh,tender pistachios and i love chocolate so the choc. covered Pistachios would be my favorite to try! Thanks!! I’d love to try the Royal Mixed Nuts Roasted Salted (Colossal Cashews, Pecans, Almonds, Brazil Nuts and Macadamias). Now I am hungry. These snacks look delicious. I want to try those extreme cheddar rounds! I want to try Cajun hot trail mix. I’d like to try the chocolate covered pretzels. Spanish Peanuts with Salt — I love those! I like the build your own tin option. Yummy and you can try a bit of everything. The DARK CHOCO ESPRESSO BEAN looks amazing! I’d love to try the Caramel Popcorn. My favorite is Pistachios in Shell. I’d like to try the Butter Toffee Cashews. The salted & roasted Brazil Nuts, yum! I’d love to try their dried cherries! I’d love some caramel popcorn. I’d love to try the Caramel Candy. I’d like to try the Peanuts Panned Dark Chocolate. The Salted Macadamia Nuts sound delicious to me! I love dark chocolate so definitely the peanuts with dark chocolate! the very thought of their dark chocolate and cashews has me drooling and dreaming of them. i like the sesame mix. Oh I would love the pistachios shelled Roasted and salted. Heaven! I’d like to try the yogurt almonds. Thanks for the chance. Head over to the Jerry’s Nut House website and leave a comment sharing another snack you’d love to try. I’d like to try the honey toasted cashews! I would love to try the Cashews and Dark Chocolate. I’m up for anything with cashews. The honey toasted sounds fine! The Marshmallow Bear Milk Chocolates sound delicious. Would like to try the Red Licorice Red Wheels. I’d love to try the Gone in a Flash trail mix. I’d also like to try the Forbidden Fruit mix! I would love to try the Butter Toffee Pecans. Butter Toffee Pecans – yum! Almonds Milk Chocolate sound so good! I’d like to try the dried blueberries and the Corn Chips with Flax Seeds. I would love to try the Rice Crackers – Chili. I would try the Cherry Nut Harvest Trail Mix. I’d love to try the Pistachios In Shell Roasted And Salted. Yummo! I’d love to try the Fancy Roasted and Salted nuts. The milk chocolate cashews look good! I’d love to try the Pistachios ! Corn Chips with Flax Seeds is one I’d like to try. I’d like to try their dried apricots! Ah what choices! I ‘ll take the pepitas roasted and salted … at least today. i would like to try there dark choclate rasins!! I’d like to try the tangerine sours. Cajun Hot Mix is another product I would love to try! I’d love to try the Cashews And Dark Chocolate. I would also love to try out the macadamia nuts! I would like to try the yogurt covered pretzels. I would love to try the peanut butter pretzel bites. ALMOND BUTTER TOFFEE LOOKS AMAZING! 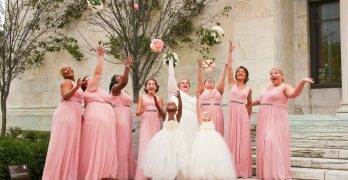 They have Bit o Honey – love those! i would like to try the Almond butter toffee. I’d love to try their Cinnamon Gummy Bears!! Those are HARD to find!!! I go nuts for nuts!! I would love to try the Stars – Milk Chocolate! I would love to try the Cashews Milk Chocolate. I’d like Animal Crackers Milk Chocolate! I would love trying the Banana Split Trail Mix! I love nuts, all varieties, so I would love to try their Brazil Nuts! 🙂 Thank you. I would love a 27.5-lb. bag of raw pine nuts! The Forbidden Fruit, dried fruit looks yummy. Id love to try the Peanut Butter Pretzle Bites! I would love to try the chocolate and yogurt pretzels. I’d love to try the Cajun hot trail mix. I like spicy snacks. I would love to try the popcorn and trail mixes! I like the Dried Blueberries. Thanks!! I want to try the milk chocolate cashews! I was going to say some kind of cashews, but all of the nut pages appear to be broken. I’d also like to try the dried figs that they carry. i wanna try the dried apple rings. I’d love to try the chocolate pretzels! The yogurt pretzels look good. I would love to try their Dried Cherries. 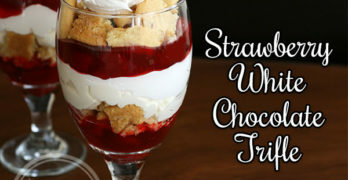 I would love to try the All Chocolate Yogurt. Gone in a flash trail mix for me.